Looking for unique Pit Bull names for your male or female dog? Whether you are searching for a name for a feisty dog or one for your new puppy, we have some name suggestions that can help you find the right name for your dog. Pit Bulls have a unique facial expression when excited. 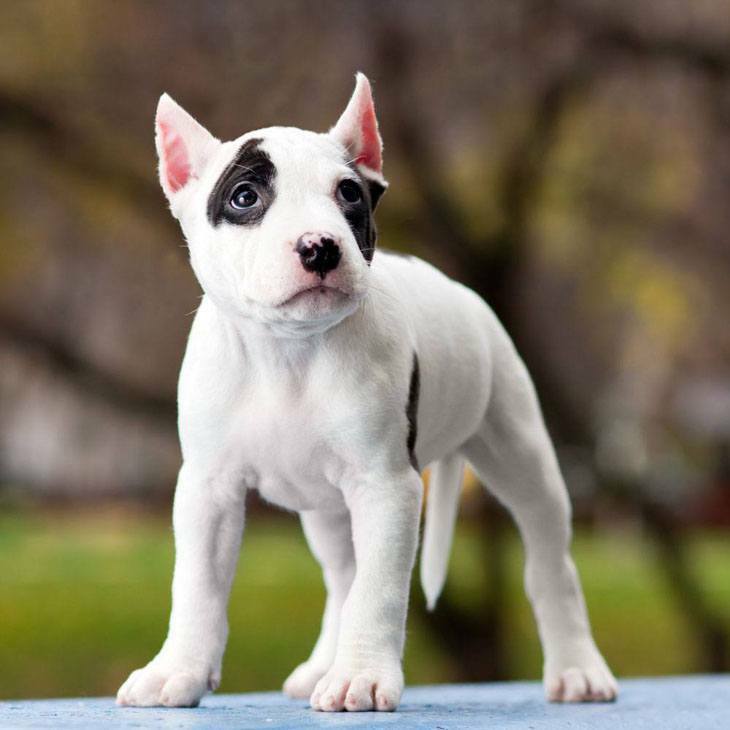 Their ears are normally raised up, and wrinkles are formed on their foreheads. They are also the ultimate super dog due to their athletics. 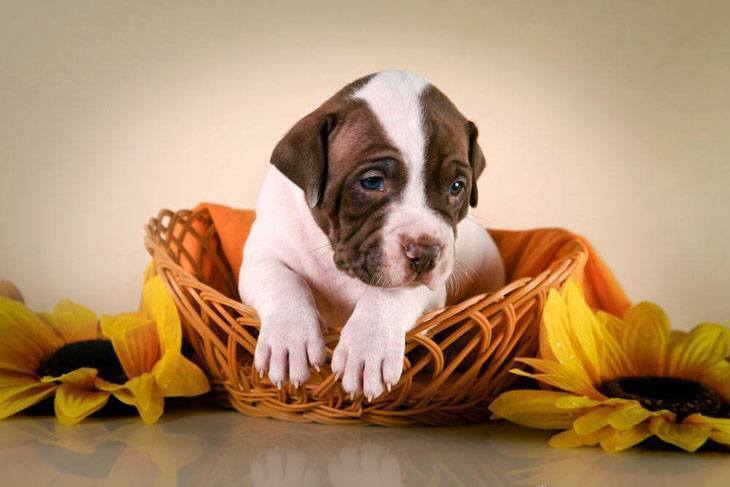 Pit Bulls have a short, smooth and glossy coat that is stiff and comes in various colors and patterns. Their coats will need regular grooming with a firm brush, and they should get occasional bathing or shampooing when necessary. 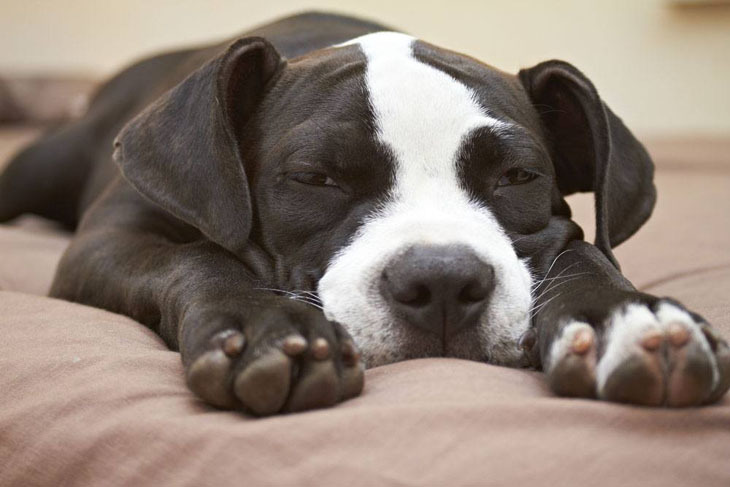 On average, the life span of a Pit Bull is about twelve to fourteen years, and they may experience a few health complications like cataracts, hip-dysplasia and allergies. This unique breed is not for everyone, especially first time dog owners. As in the wrong hands they can be troublesome. This is because of their strong personality, need for lots of exercise and their aggressive tendencies, which mean that dog aggression can show up at any time. You should also know that they are not the dog park kind of dog as they don't always get along well with other dogs. Anauel: The title of the Angel of Prosperity, what a perfect unique Pit Bull name for a big buddy that keeps bringing you success. You can choose it for either a boy or girl that you really adore. Alize: Meaning "one who charms" makes it suitable for a Pitbull, especially one that loves to keep you happy and laughing. This dog is silly to the point of being ridiculous. Deluxe: A term meaning “large,” this dog is elegant, and will know what you are thinking and feeling. Your big Pit Bull friend is also a huge addition in your home as she and everyone will snuggle and get along great. Chase: The perfect unique Pit Bull name for a big friend that loves to play. He'll often have you chasing after him. He won't get into any trouble but will love to play. Hanna: A female choice meaning flower in Japanese this girl will blossom from puppy hood into a cute laid back dog. This choice usually is a fantastic pick for any dog that brings you happiness. Jet: This unique Pit Bull name can be used for any black coated dog. This is also a good choice for a swift moving dog. A great idea for any puppy that has stolen your heart, time and time again. Juno: From the Roman mythology, this is the title of the Goddess and protector of women. Juno has a kind and gentle behavior and is mentally sound and strong. Kojak: A unique male title suitable for Pit Bulls, when I think of the name Kojak, I think of strong and loyal. Great for any elegant big breed dog that has these characteristics. Machiko: Meaning "Fortunate child this unique selection has a sound of intrigue and mystery to it. It is a fine pick for dog that is masculine in nature. Solider: Being respected and loyal citizens, this unique Pit Bull name is ideal for a strong dog. Your large companion is a loyal fighter that is industrious, love attention and is gentle to children. Takara: She is a true treasure and precious thing. Even though this Pit Bull is from a large breed that looks fearsome, she is a sweetheart to be around. Zulu: The nickname of the cricketer Lance Klusner, another unique idea for your Pitbull. Your dog has a passionate nature about what he does that is second to none. His scores and your affection for him will just keep on adding up in your heart.